Thank you so much to all of you who entered to win my giveaways throughout December! This last giveaway (which included 2 separate giveaways = 2 winners!) was awesome and lots of fun! It's been a blast connecting with all of you and sharing some of my stash with you too. Thanks to you guys, I reached my goal of 1,000 Facebook Page likes AND I've managed to get a little bit of much needed space back in my studio. So, thank you! Ok, back to announcing the winners! As you can see, I’m using PunchTab, and I chose to select a random winner. Hope Chest Stationery giveaway winner is Brandy Bryson! 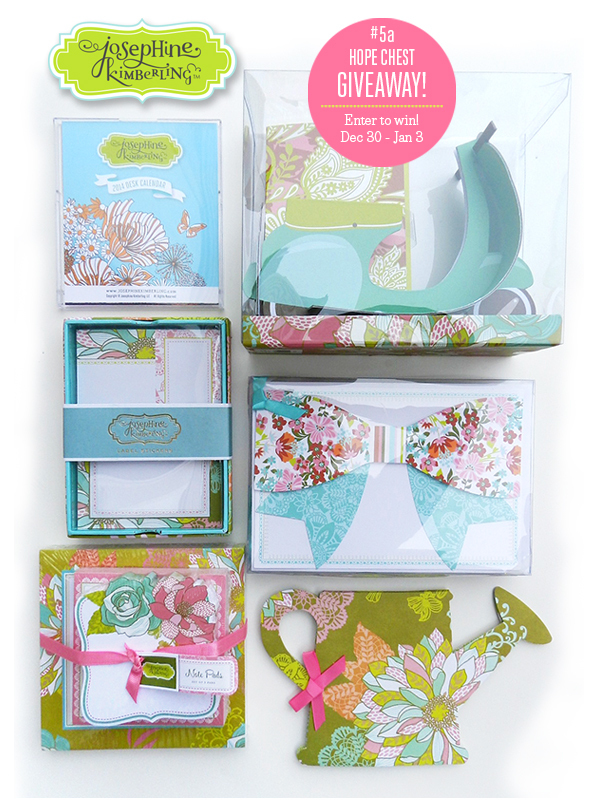 Global Bazaar Stationery winner is Raye Cage! Congratulations Brandy and Raye!! I’m so excited to send these lovelies out to you both! Thanks again to all of you who stopped by to enter to win, connect, and to share what I'm doing on social media. Happy New Year!